If It Is God You Seek, It Is God You Will Find. 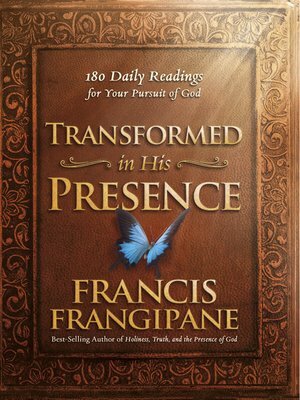 Frangipane challenges readers to embrace a life-changing path of seeking God and knowing Him. Transformed in His Presence will challenge, provoke, and empower readers to pursue holiness and Christlikeness.